PARIS --- As it waits for industry responses to its initial request for proposals for new combat aircraft, the Swiss government is laying the groundwork to ensure that the current process is not shot down by a public referendum, as were the two previous attempts to buy new fighters. 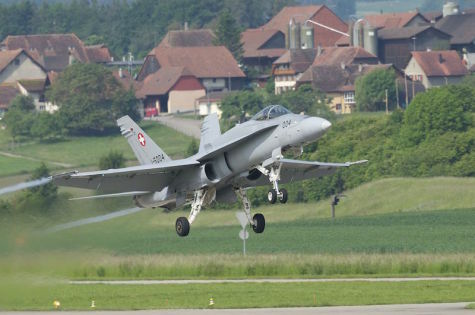 The government in March opened a consultation allowing the cantons (counties), political parties, associations as well as other stakeholders to state their opinion on the plan to replace Switzerland’s jet fighters and surface-to-air missiles. The consultation will close on Sept. 22, and if it receives sufficient support the government will submit its planning order (arrêté de planification) to Parliament in late November. The government’s plan is for the Upper House to debate the planning order during the spring, with the Lower House to follow during the summer, Ambassador Christian Catrina, the government’s point man on Air 2030, said in a Sept 7 interview with military magazine ASMZ. Air 2030 is the government’s plan to fully replace Switzerland’s combat aircraft and its ground-based air defenses by 2030, for which it has earmarked 8 billion Swiss francs. The planning order is a Swiss peculiarity which allows parliament to give preliminary approval to a government decision, which is then presented to all national stakeholders along with the proposed process and criteria for its implementation. Once approved, the planning order can be submitted to an official referendum if the government so decides. 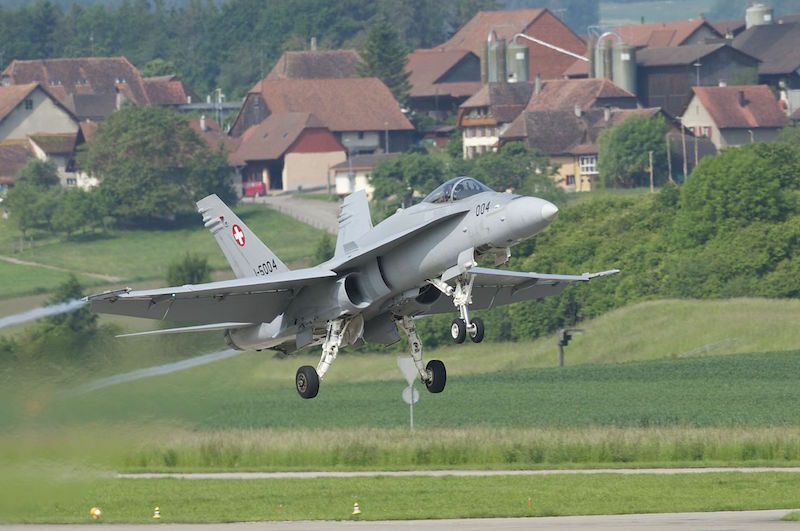 The Swiss government in July issued requests for proposals (RFP) to five governments for the supply of 30 to 40 combat aircraft, including their missiles and logistic support; responses are due by late January. The five candidates to replace the Swiss Air Force’s fleet of F-18C/D Hornets and F-5E Tiger II fighters are the Boeing F-18E Super Hornet; the Dassault Aviation Rafale; the Eurofighter; the Lockheed Martin F-35A and the Saab Gripen-E.
Interestingly, the Rafale won the previous Swiss fighter competition, but was judged too expensive, and in December 2011 the government decided to instead buy the next-generation Gripen-E. However, the deal was cancelled after the government lost a public-initiative referendum in May 2014. Current plans call for the five competing aircraft to be tested in Switzerland in the early summer of 2019, Catrina said, after which a second and final request for proposals will be issued, taking into account the flight tests and the responses to the earlier RFP. Best and final offers are due in the spring of 2020. The government cabinet will probably select the winning offer during the second half of 2020, and submit it to Parliament as part of the annual Armaments Program for 2022. Deliveries are to begin in 2025 and be completed by 2030. In addition to the new fighters; the Air 2030 project also calls for the acquisition of a ground-based air defense system to replace the BAe Rapiers now in service. Contrary to the Rapier, which is a short-range missile, its replacement will be what Switzerland calls a “long-range” missile and the rest of the world calls “medium range;” the three contenders identified by the Swiss ministry of defense are the Eurosam SAMP/T, the Raytheon Patriot and the Rafael / Raytheon David’s Sling. The acquisition process for this program will follow that of the aircraft, but about two months later, Catrina said. Given that Swiss voters voted twice against government plans to buy new fighters, the present government is determined to avoid losing a third one. Also, the need to replace the current fighters and air defenses is becoming more urgent as they become older, so the government is determined to minimize delays and ensure the new equipment is fully operational by 2030. By opting to go the planning order route, the government considers it will be able to pre-empt opposition groups by organizing itself, if necessary, a popular vote or a referendum on Air 2030. The process to organize a popular initiative referendum is far more time-consuming, so the government wants to avoid it if possible. “The fact the two previous aircraft acquisition plans went to a popular vote does not mean there is a legal obligation to submit all aircraft acquisition plans to the population,” Catrina said. “The planning order gives the Federal Council more control on the question and timing of the public consultation,” but requires a favorable vote in both houses of parliament. Catrina also stressed that the government would turn down requests for further reports, studies and evaluations. “We have agreed the conceptual basis. We don’t need more paper, but new combat aircraft and new air-defense missiles,” he said.